The Vintage Mystery Bingo Hall will be open for gaming again in 2015, so get out your daubers and be prepared to shout "Bingo!" I have scrambled the cards and switched out a few of the categories for brand new square challenges in the hopes of keeping it interesting. Categories with an asterisk in the square are explained a little more fully in the rules. *Challengers may play either the Silver Age or Golden Age Card—or both. 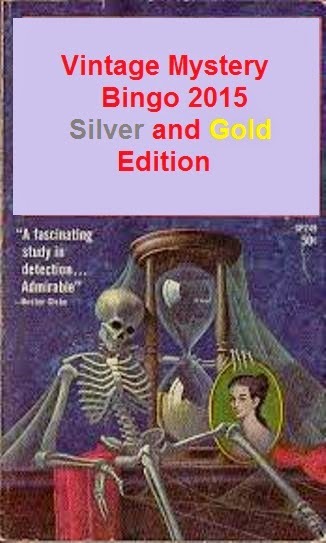 For the purposes of this challenge, the Golden Age Vintage Mysteries must have been first published before 1960. Golden Age short story collections (whether published pre-1960 or not) are permissible provided all of the stories included in the collection were originally written pre-1960. Please remember that some of our Golden Age Vintage authors wrote well after 1959--so keep an eye on the original publication date and apply them to the appropriate card. Silver Age Vintage Mysteries may be first published any time from 1960 to 1989 (inclusive). Again, Silver Age short story collections published later than 1989 are permissible as long as they include no stories first published later than 1989. Yes, I admit my dates are arbitrary and may not exactly meet standard definitions of Golden or Silver Age. *Challenge runs from January 1, 2015 to December 31, 2015. Sign up any time between now and November 4, 2015. Any books read from January 1 on may count regardless of your sign-up date. If you have a blog, please post about the challenge and a little bit about your commitment—if you’re going Silver or Gold…or maybe some of each. Then sign up via one of the linkys found below. And please make the url link to your Challenge post and not your home page. (Links that do not follow this rule will be removed.) If you decide to go for broke and try to score on both cards, you only need sign up once--pick a card, any card for your link. 1. Challengers who complete one BINGO will be eligible for a drawing at the end of the year for a book from the prize list. 2. Challengers who complete two or more BINGOs (either from the same card or BINGOs from each card) will be entered in a separate drawing with three winners--three times as many chances to win, again for their choice of a book from the prize list. Challengers who cover a card by completing all categories will also be eligible for a special prize drawing at the end of the year. Complete bonus prize package to be announced at that time. Two complete cards will earn two entries in the drawing. Please keep track of your progress and be prepared to submit a final wrap-up post or comment at the end of the year. Please DO NOT submit notifications of prize status prior to the posting of the Wrap-Up Link. Thank you. *The categories are open for interpretation—within reason. Many of these categories were featured in the 2013 version of the challenge and it may help to refer to the 2013 Challenge List. If you have doubts whether a potential book will meet a category or have a somewhat unusual interpretation, please email me at phryne1969 AT gmail DOT com. —The “Out of Your Comfort Zone” is absolutely up to you. For me—that will most likely mean hard-boiled or spy/thriller—but if that’s what you prefer, then you might go for a nice cozy mystery. —Borrow = from the library, from a friend, using free electronic downloads. In my world “own” means that you have purchased the book or received it as a present. —Historical = the bulk of the story must take place at least 15 years prior to the date the book was written. Flashback storytelling is fine as long as modern events either frame the historical tale OR the historical events are absolutely vital to the modern portion of the story. Example: The Study in Scarlet by Sir Arthur Conan Doyle. Date of publication will determine Silver or Golden status. —TBR First Lines = randomly select four books from your TBR stacks (that fit either Golden or Silver years, of course). Read only the first sentence of each one and choose which book to read for this square based on that sentence. 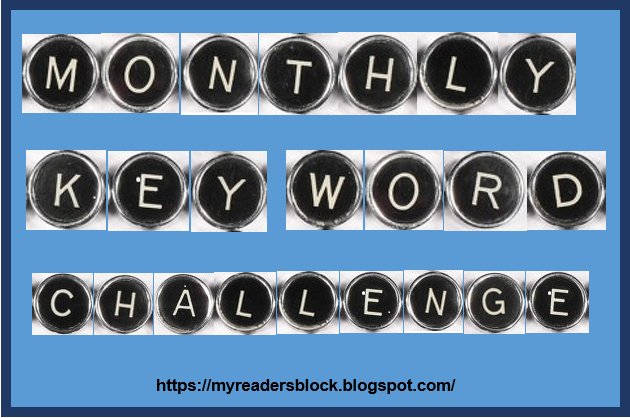 *I would love to see reviews of your challenge books, but it is not necessary to participate. 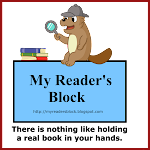 If you do not have a blog, post to the comments that you intend to join and then post again at the progress site (see below) when you have completed your challenge (include a list of books read and which categories you have completed). If you use a Free Space, please indicate what category the book read is actually from and which space is being claimed. 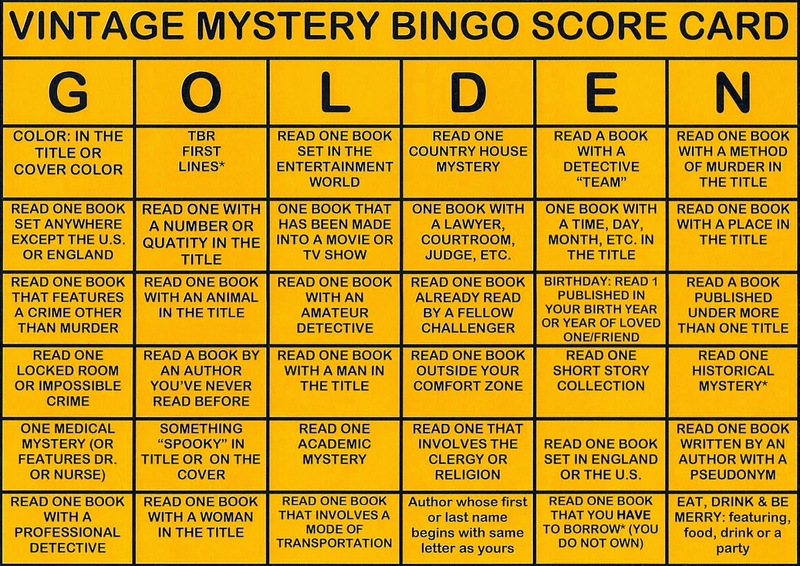 *You are welcome to change your mind about what square a book qualifies for until you have claimed a Bingo using that book in a certain square. 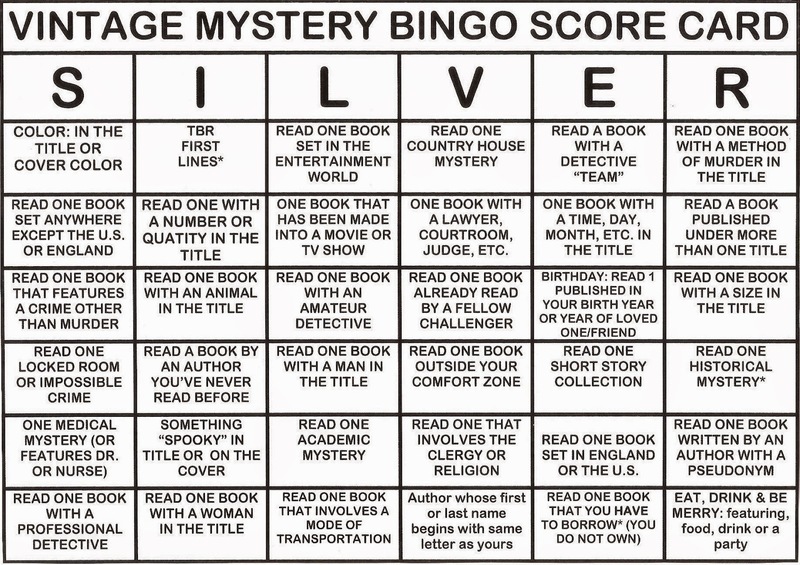 Once books are used to claim a Bingo, they are tied to those spaces. **(12/27/14): I just realized that the "Size Category" was left on the Silver Card when I was rearranging and adding new categories. My intention was to have both cards the same. For those who were frustrated with the "Size" category in 2014--you are welcome to use the "More Than One Title" category (as it appears on the Golden Card) instead and it will not count as a "Free Space Substitution." OR you may use the "Place in the Title" category--which is missing entirely. If you like the "Size Category" go ahead and use it as the official square for the Silver Card. Just make it clear what you have done in the final wrap-up. +Once again, I would like give credit for the bingo-style challenge idea to Anne from Creativity’s Corner and Kristilyn from Reading in Winter. These ladies first enticed me with their 2013 Bingo Reading Challenge. I had so much fun with it that I thought it would be very cool to come up with a mystery version and, with Anne & Kristilyn’s kind permission, I “stole” their idea and gave it a mysterious twist for last year's Vintage Challenge. If you love challenges as much as I do be sure and check out their 2015 Bingo Reading Challenge (I will link as soon as it goes up). +Artwork for button comes from the 1964 Popular Library edition of Dark Lady by Doris Miles Disney. I am so happy that this is back. Will do a sign-up post soon. But Bev why have you done away with the Play it Again Sam challenge? It made me pick up books to re-read without feeling guilty about wasting time. Please do rethink. Hmmmm. Well...if you all don't mind me being a very distant hostess for that one, I'll think about it. I scrolled back through the review posts and it just didn't look like there were many participating (there were a boatload of reviews one month--but nearly all from the same person). And...I'm going to try and avoid rereads in 2015--I really want to shrink my not-read-yet piles. I'm so signing up next year, since I didn't last year. I'm in of course! I like that you added more playful categories this year. The "TBR First Lines" will be very interesting for me. And I'm elated that the "size in the title" category is gone. That one gave me a lot of trouble this year. 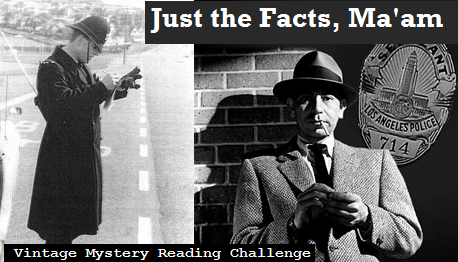 I am trying to cut back on challenges this year, but the Vintage Mystery Challenge was one motivation for me to blog, so I have to participate, PLUS I love the logo with the skeleton. I want to join in with Neer and say I was disappointed to see that you were not continuing the Play it Again Sam challenge. I plan to do some re-reads this year. But hosting a challenge is a lot of work, I don't see how you do it all. I understand your reluctance. Sounds great Bev, as always, though I sorry about 'size' because I can up with what Iu thought were amusing solutions this year (one with the actual word 'soize' in the title, the other Hammett's 'thin man.' I'll do a sign-up post at the weekend. I'll signup for both but, given the way things are looking, suspect I shant complete as many bingos in 2015 - but I will do my best! I will definitely be joining in again, but, I'm not quite ready to do a post about the challenge just yet! Thanks for hosting this again! I'll be doing a wrap-up post for this year's challenge in a few weeks. So glad to see all the enthusiasm already! Pardon me for me a bit absent till next week. I'm out of town with my parents--so very little online time. TracyK: I'll probably put up a Play it Again, Sam post for 2015. I may not play--but I'd hate to disappoint you and neer. Sergio: I think it's hilarious that you and John are on opposite sides of the fence on the "size" category. Re Play it Again, Sam... Thanks very much. I promise to be very active and it will be great to have motivation. I am with Tracy. Thank you so much for Play it Again, Sam. I now realise I have been amiss about linking up my reviews for the same. I'll be more prompt next year. I'd like to join again this year. Thanks for hosting. I am still trying to finish this years golden bingo challenge and am looking forward to doing next years. Am puzzled as to what TBR First Lines actually means though- can you elaborate? "—TBR First Lines = randomly select four books from your TBR stacks. Read only the first sentence of each one and choose which book to read for this square based on that sentence." That's it. Whether you choose your book because the first line is intriguing or funny or beautifully written doesn't matter. But pick the book with the first line that interests you most in some way. What a fun idea. I've just signed up. I'm aiming for two full lines on the Gold BINGO card. Thanks so much for hosting this challenge. This is just what I have been looking for! 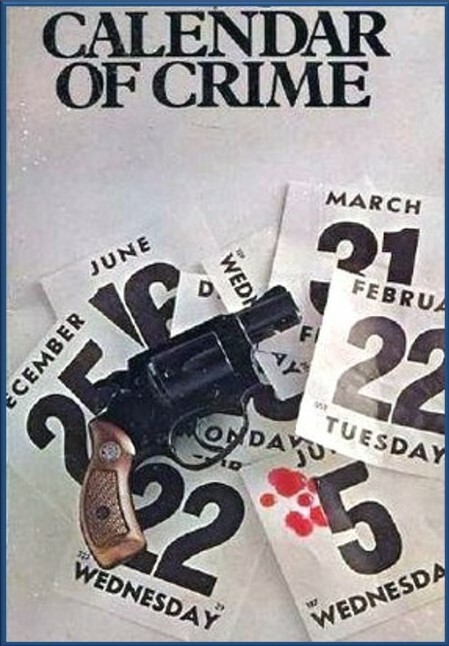 My shelves are bursting with crimes novels - mostly Agatha Christie. And this is going to give me just the incentive I need to get them read already! I think I will have a go at the Gold and the Silver and see how it goes. Glad to have you join us, Margot & Alex! I hope you have fun! Is there a Goodreads group for this challenge too? I've "liked" the Mount TBR group. Donna: No, I'm afraid I haven't put this one out on Goodreads. This one was the first challenge I hosted on the blog and is nearest and dearest to my heart. I kind of want to keep it here only. 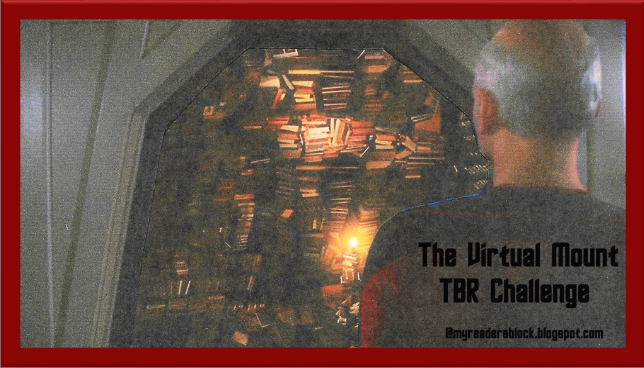 Maintaining both versions of the Mount TBR Challenge is fairly time-consuming--I'd be visiting Vintage Reviews even less than I'm able to do now. Hi, I really want to sign up for the challenge, do I need to have my own blog to do so or can I sign up without knowing all the tec stuff! Elena: Of course you can participate. Feel free to leave a comment on the Head quarters site (see picture on sidebar--click on it to reach that page) any time you've finished a book (or periodically with a list of books finished). When I post the wrap-up at the end of the year, you can leave a comment telling me how many bingos you completed and what books you used for them--detailed instructions will be posted. Hi, I would like to sign up for the Gold Bingo Card, as I had so much fun playing it last year! I like the new categories. Welcome Back, Kate! Glad to have you in the Bingo Hall again. Count me in, please! 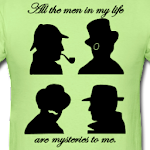 I know it's over halfway through the year, but since I old mysteries I think I can still do it. What a fun game! Julie: Glad to have you join us! I look forward to seeing how many you can get done before the year's out. Are you doing Gold or Silver--or both?